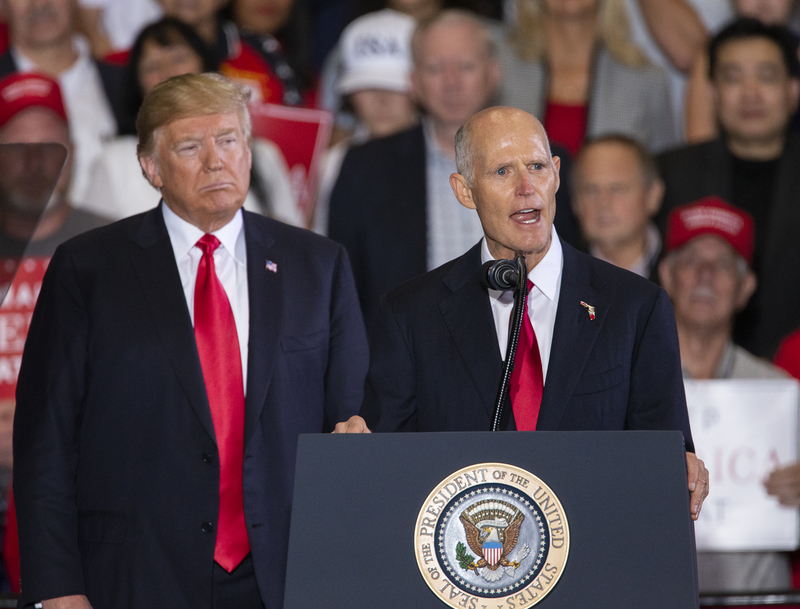 President Donald Trump has given his endorsement to gubernatorial, U.S. House and Senate candidates across the nation and stumped for many of them in their home states. Here’s a list of the candidates he has endorsed. Close races to watch include Republican Georgia gubernatorial candidate Brian Kemp, who is neck and neck with Oprah Winfrey-endorsed Democrat Stacey Abrams, and Democratic incumbent Missouri Sen. Claire McCaskill’s close race with Republican challenger Josh Hawley. Races that could indicate early on if the Democrats’ blue wave will be a tsunami or a puddle include Ohio’s 12th Congressional District, where incumbent Rep. Troy Balderson has Trump’s stamp of approval. Kansas gubernatorial candidate Kobach also got attention after Trump endorsed the challenger over GOP incumbent Gov. Jeff Colyer in August. Kobach is in a toss-up race with Democrat Laura Kelly according to RealClearPolitics. Trump also endorsed West Virginia Republican Rep. Evan Jenkins before Jenkins lost to Morrisey by roughly 5 points, according to Ballotpedia. Trump touted candidates in tight races like Senate hopefuls Gov. Scott and Rep. Blackburn at rallies in their home states in the days leading up to the election. Trump endorsees facing tough races include Virginia Rep. Brat, who’s in a toss-up with Democratic challenger and former CIA officer Abigail Spanberger, and Ohio Rep. Balderson, who is once again facing Democrat Danny O’Connor after beating him in an August special election.